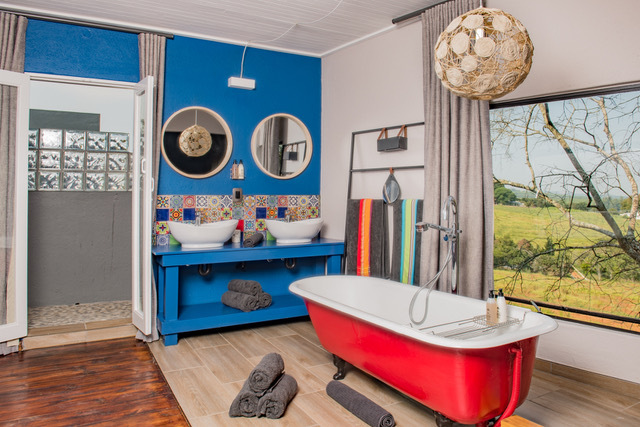 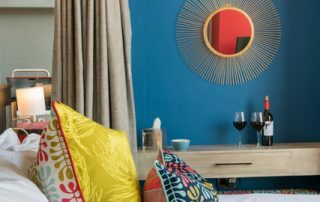 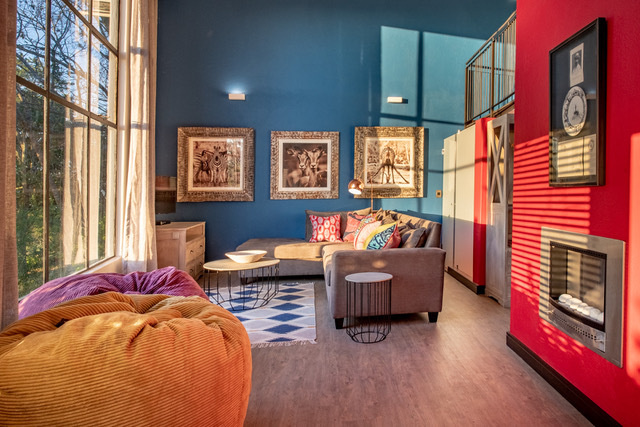 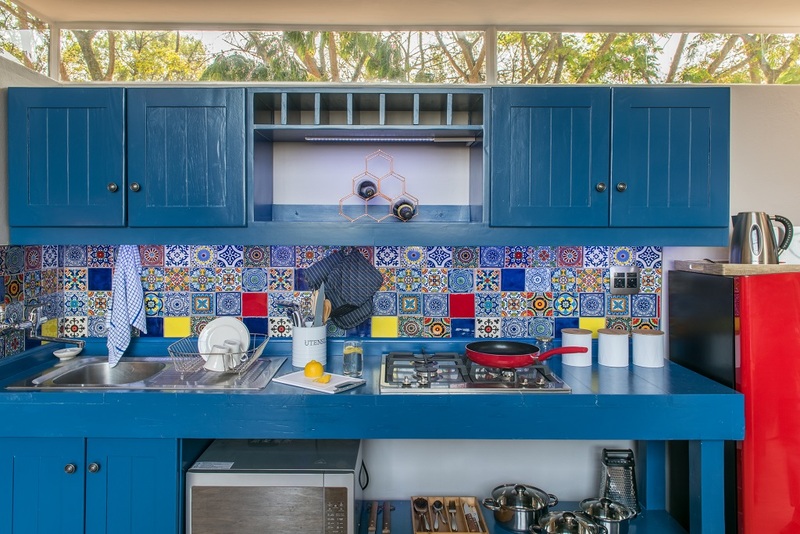 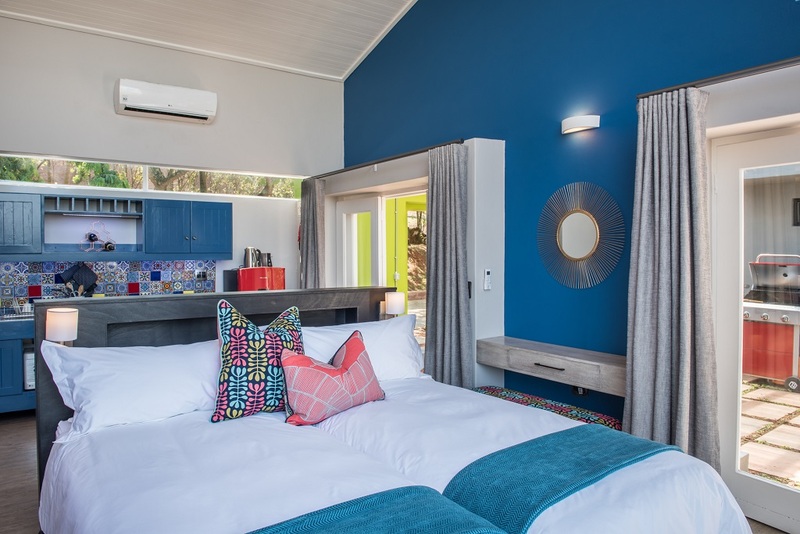 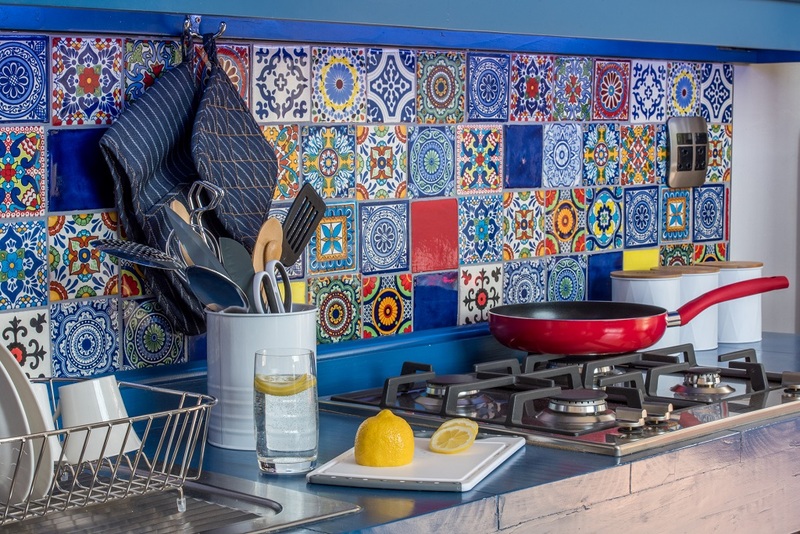 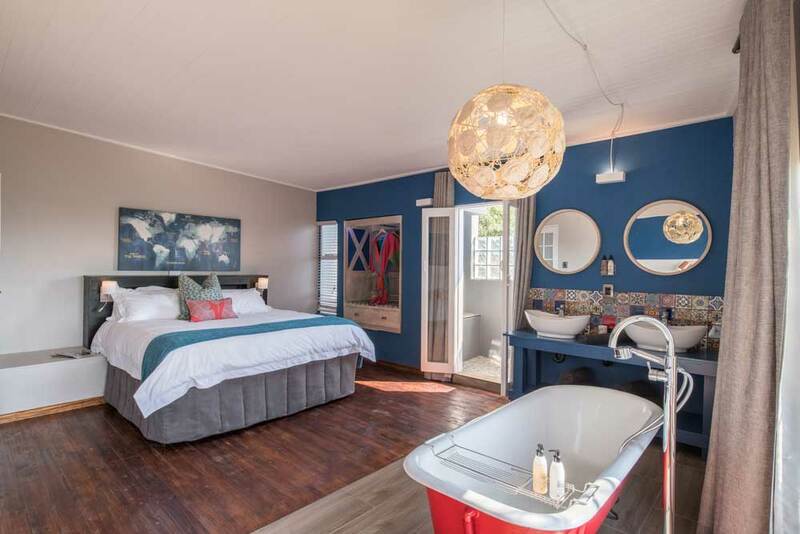 Seven beautifully styled self-catering apartments, celebrating South African design, flavour and flair! 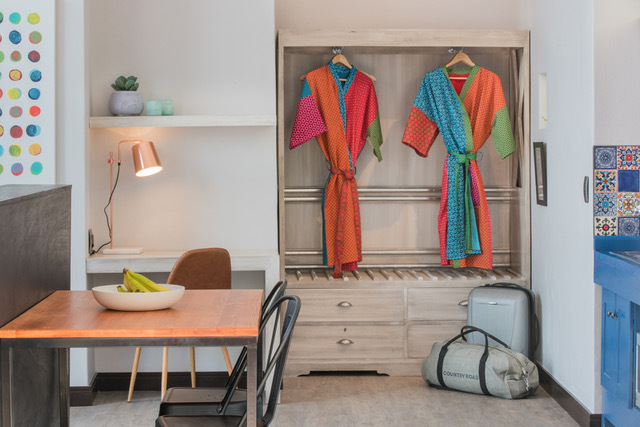 The 7 private apartments (2 King-bedded, 4 Twin-bedded and 1 Family Suite) are all en-suite, featuring designer furniture and bespoke finishes. 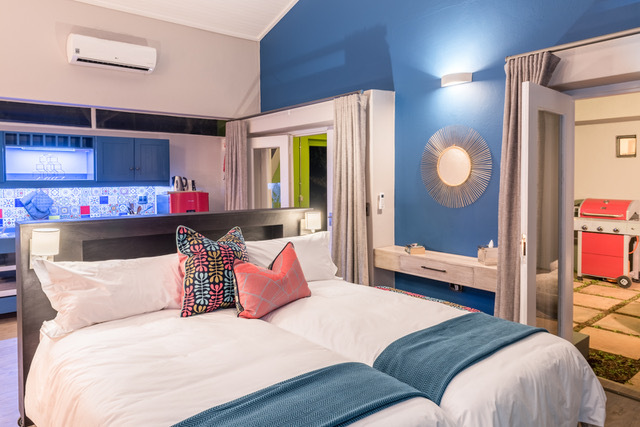 All 6 units accommodate 2 guests sharing, with the 2 King-bedded units including a roll-away bed able to sleep 2 children (12 years and under). 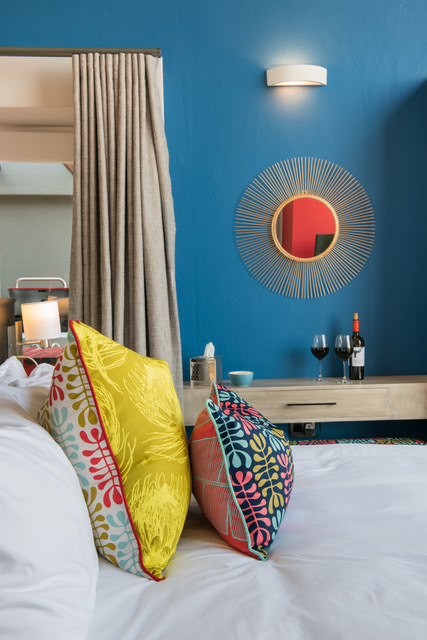 Our in-room welcome pack includes tea, coffee, milk, sugar, rusks as well as salt and pepper. 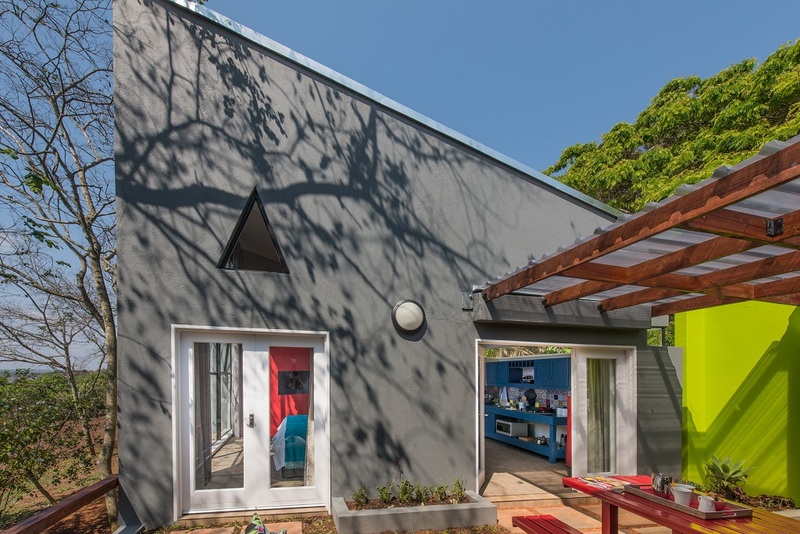 A new double-volume family unit comfortably sleeps 4. 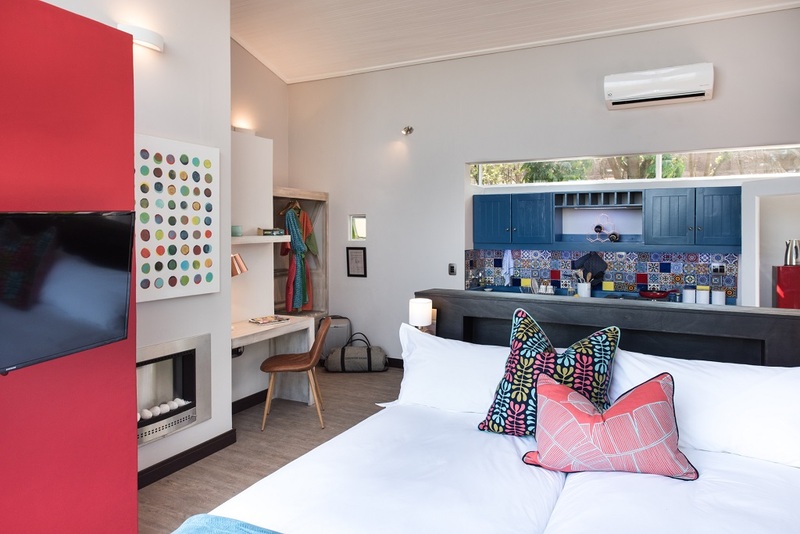 With a King-bedded en-suite room upstairs and specially designed L-shape sleeper bed downstairs, the spacious unit is ideal for families. 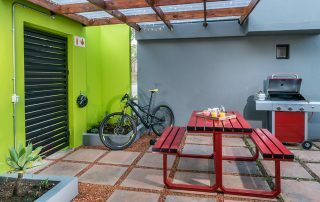 The apartment is equipped with a dining room table, kitchen and easy access to the fenced off pool area. 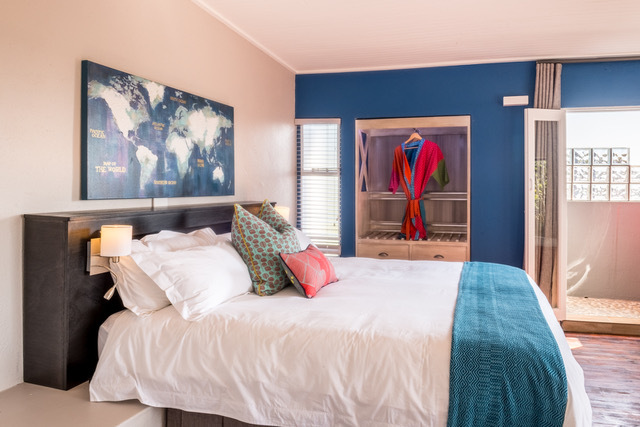 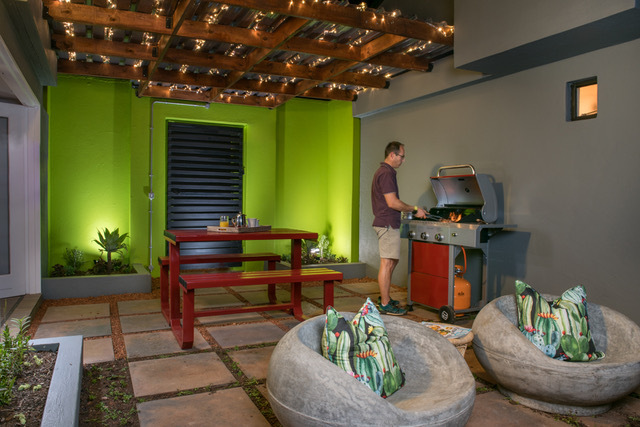 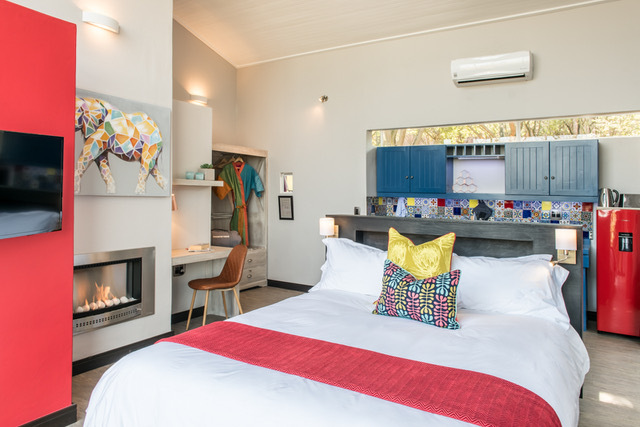 An outdoor patio with gas braai, downstairs loo and shower and huge windows with great views complete our bespoke, comfortable and convenient family suite..
Each apartment has a private patio with its own gas braai and outside entertainment area. 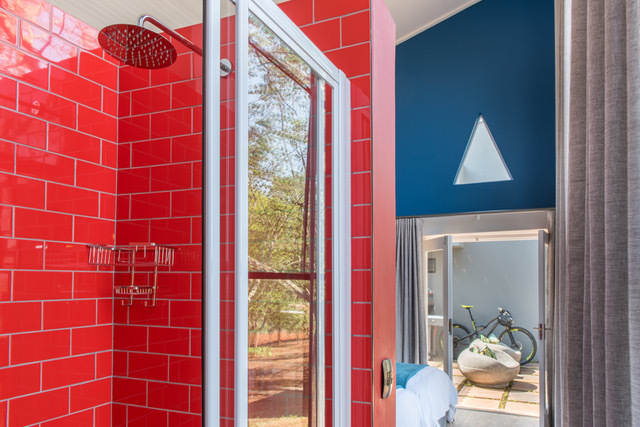 Our communal pool is available to cool off or ease those tired muscles after a long day in the saddle. 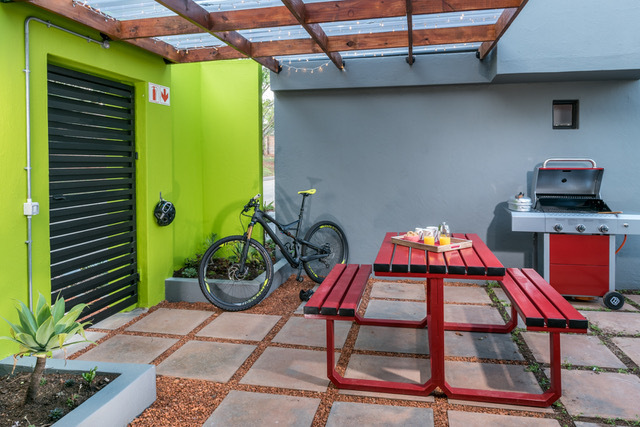 A central bike wash is available and bikes can be conveniently stored on your own patio. 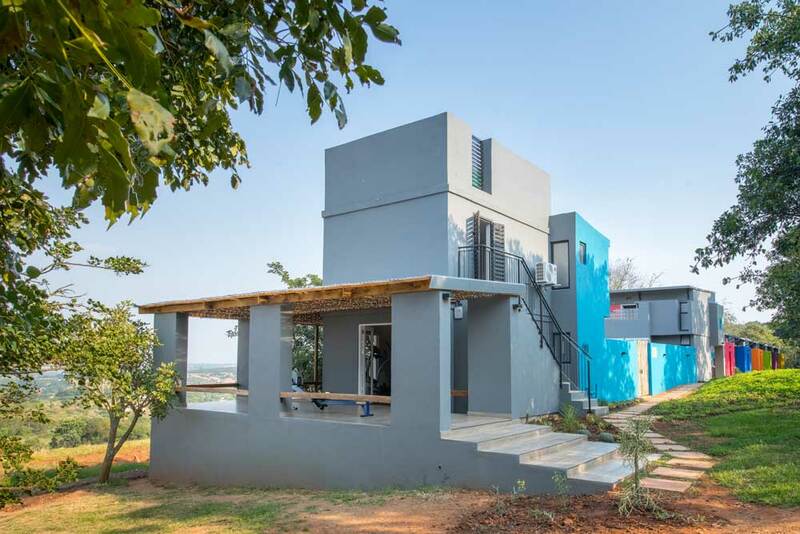 Security is of a high standard with a wall and security fence around the perimeter of the property. 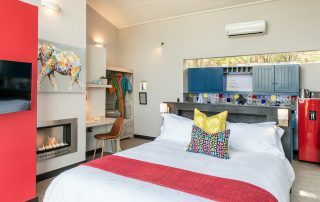 Rooms are all air-conditioned and in winter a gas fireplace will keep you snug and warm. 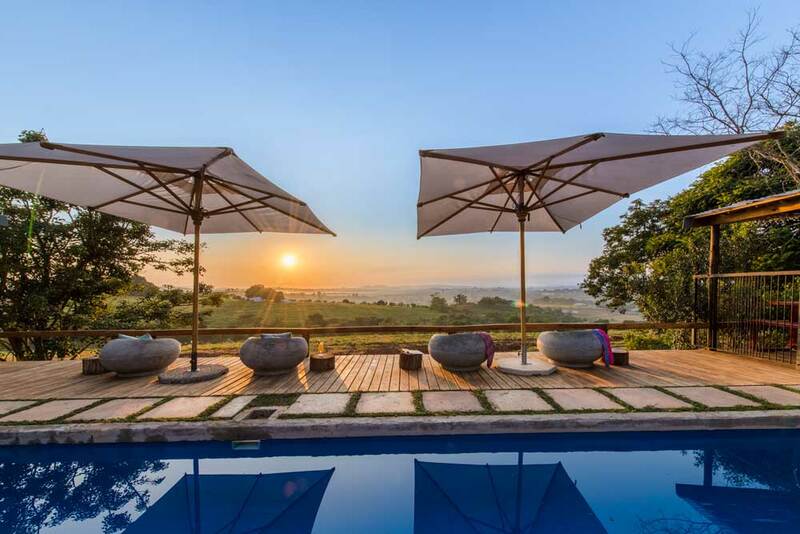 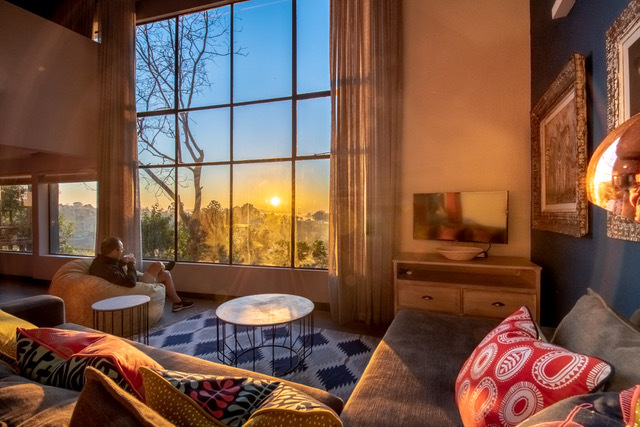 After a long day enjoying all the Lowveld has to offer, one can sit back and enjoy a relaxing meal outside with spectacular views, or relax on your bed and enjoy the vista through floor-to-ceiling windows.